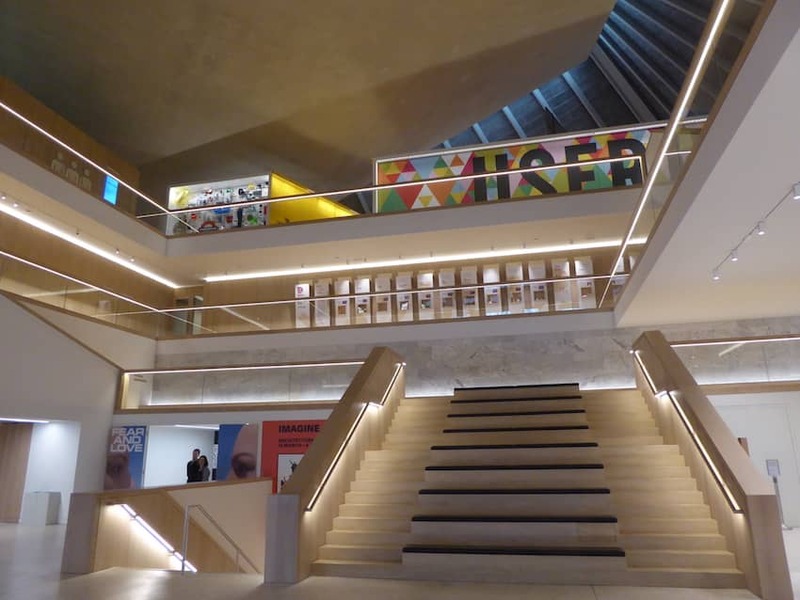 The Design Museum covers product, industrial, graphic, fashion and architectural design. Originally founded in 1989 by Sir Terence Conran near Tower Bridge it moved to new, much larger premises in Kensington in 2016. The listed 1960s building was converted into a modern, state of the art museum designed around a large theatrical atrium with walkways and spirals of stairs. It accommodates an auditorium and a dedicated gallery for its permanent collection entitled ‘Designer Maker User’. Further galleries showcase a programme of temporary exhibitions dedicated to architecture, fashions, furniture, product and graphic design.